A 17-storey office complex has dramatically reduced energy costs by using variable speed drive controlled pumps and fans. A London office complex has saved £15,000 on electricity costs in six months following the installation of 18 ABB variable speed drives (VSDs). The drives, ranging from 5.5 kW to 37 kW, are used on hot water and chilled water pumps as well as air extraction systems. The £48,000 project is expected to pay for itself within 18 months. 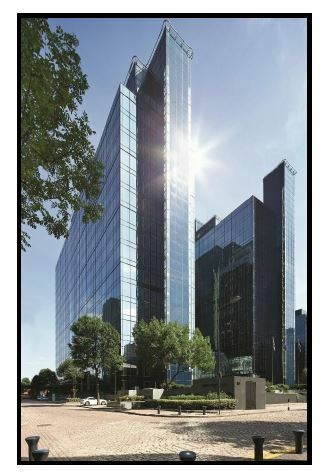 Harbour Exchange Tower is a 46,500 square metre office development near Canary Wharf in London. Consisting of two linked towers, the 17 floors of the building house a number of financial and Internet service providers. The building’s maintenance contractor, CBRE, also has responsibility for running the building efficiently. When the building was completed, in 1989, only the most energy intensive applications were speed controlled. CBRE was keen to improve energy use on other applications. It asked ABB authorised value provider, Inverter Drive Systems (IDS), to investigate which applications offered the greatest energy-saving potential. IDS performed an energy assessment together with engineers from ABB. IDS undertook an energy assessment at the site concentrating on applications that were not speed controlled, but were switched on and off via a star/delta arrangement. user to see exactly how much energy the drive is saving compared to running the same application direct-on-line. The installation of the 18 VSDs was spread over three applications – hot water pumps, chilled water pumps and toilet supply and extraction fans. The pumps and fans are controlled by a building management system (BMS), which switches them on and off according to pre-selected timings. The biggest savings have come from the chilled water system. This has eight drives running eight pumps. Six of the drives are 30 kW and two are 37 kW. The drives reduce the speed of the pump motors by 20 percent. In the first six months of operation, this has saved 55,000 kWh and £8,000 in energy costs. Four 22 kW drives were installed on four hot water pumps. The pumps operate in pairs in standby/duty mode, with each set supplying hot water for one of the two towers in the development. Again, the drives cut motor speed by 20 percent. Over six months, this has resulted in a saving of 48,000 kWh , cutting energy costs by £6,000. Each building has one supply and two extract fans for the toilets. Previously run at full speed constantly, the supply fans are now run by two 5.5 kW drives, while the extract fans are run by four 7.5 kW drives. CBRE opted to use the drives to reduce the speed of the fan motors by 10 percent. This has saved 7,900 kWh and £1,100 in energy costs in the first six months of operation. However, these savings could increase if CBRE decides to slow the speed of the fan motors by a further 10 percent.